What happens when someone reads a novel? What do novel-readers actually do? 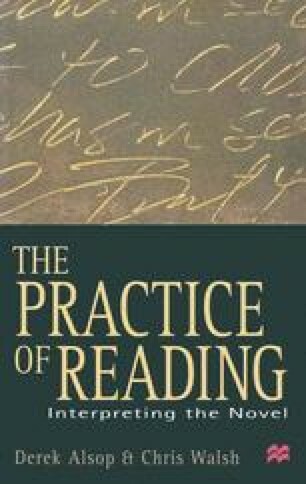 Is it really possible to generalize about ‘the role of the reader’ and ‘the experience of reading’? How is meaning produced? How far does meaning depend on the reader, and how far on the text of the novel itself? To what extent — if any — should the novelist’s stated intentions be taken into account in discussing the process of reading? How important are language and context to reading practices? How significant are various modern developments in literary theory and criticism for our understanding of what is involved in the process of reading novels?